2017 is rapidly heading our way and with all of the New Year Resolutions that are being set I thought you might enjoy a challenge too. A meditation challenge, a simple, easy to do 30 day challenge. Why? Partly to prove how easy meditation can be and partly so that by the end of January you will already have achieved something that improves your well being, makes your daily life better and shows you can stick at something long enough to make a difference. If you can complete 30 days, you can carry on forever. It takes a minimum of 30 days to break a bad habit, working on the same principle it takes the same time to create a good habit, in this case meditation. Meditation will not only release stress from your mind and body but it will also give you a mental shield against stresses in everyday life, it will help you to think more clearly, be more productive and more positive, all of which have a whole raft of domino style effects themselves. It sounds a bit cheesy but it really can change your life. So why wouldn’t you want to do it? I chose a mantra meditation challenge because trying to sit silently and empty your head can be quite tricky, whereas concentrating on a mantra is both beneficial and easy. It’s fun to choose your own mantra and on a subliminal level it helps to reset you into a more positive mode. 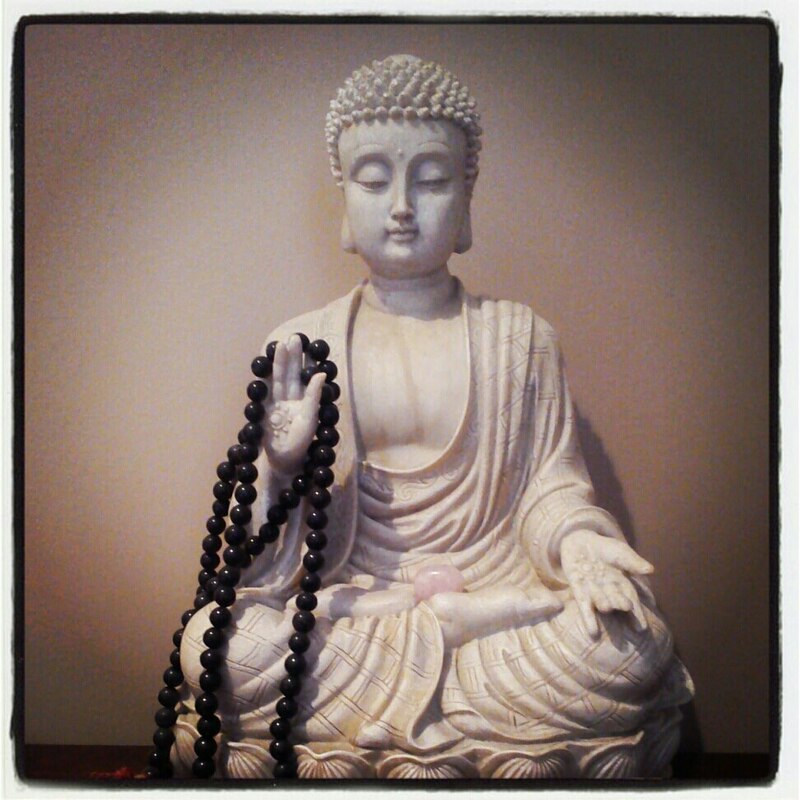 You will follow the traditional 108 repetitions, using a mala will help you to count. A mala necklace is an Eastern rosary used for mantras, chanting, and prayer – it has 108 beads. 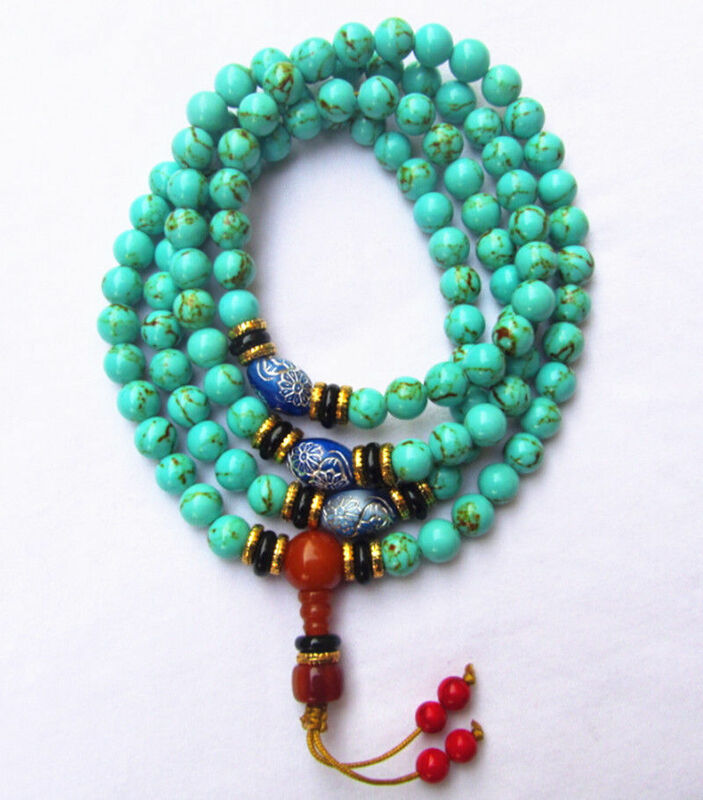 There are also shorter bracelets that you can buy that require multiples of rounds instead of one like a full mala. There are 54 letters in the Sanskrit alphabet, each one has a masculine and feminine quality – Shiva & Shakti. 54 letters x 2 qualities = 108. The Chakras are energy lines in our body that start at the root of our body and travel up to the crown of our head. It is said there are 108 energy lines that converge to form the heart chakra or Anahata. There are 108 Upanishads – an ancient text that is highly revered in both Hinduism and Buddhism. The only rule is that you must complete 30 days consecutively. No cheating. If you miss a day you need to start again. Pick a place to sit. Comfortable ( but not too comfy ) peaceful and undisturbed. It can be inside or outside. You don’t need a special cushion or incense or music, it can be a kitchen chair, you just need to sit and be able to concentrate and be ready. Take 3 deep breaths in and out slowly, cleansing breaths, they are a signal to your body that you are going to be calm for a while. Close your eyes and feel the breath move in and out of your body. 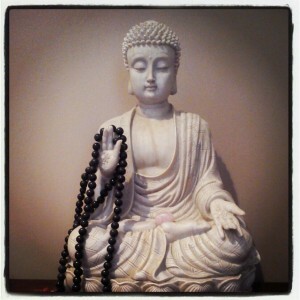 Starting with your beginning bead on the Mala ( usually one just after the tassel or end bead ) begin chanting your mantra. after each chant move along a bead on the mala. Continue until you reach the end bead or tassel again. 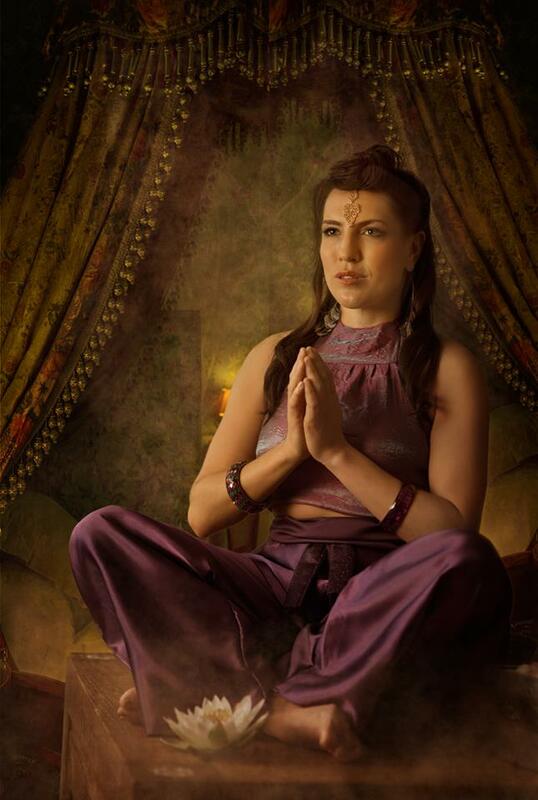 You can have your eyes open or closed, you can chant out loud or in your head or a combination of the two. You just need to concentrate on saying the mantra over and over. It’s not a race, its a short break in your day from the craziness of life. You can do this first thing in the morning, at lunch break or at night before you go to bed, whenever you have ten minutes to dedicate to self improvement. Everyone has ten minutes to spare, and the more you do it, the more you will want to do it, you’ll miss it if you don’t! Eventually it will no longer be the ‘ mantra meditation ‘ challenge, it will simply be your meditation time. This is the part that requires the most thought. You could research ancient sanskrit mantras on the net and use one of those, they have good vibrations and work really well. Om Mani Padme Hum is perhaps the most commonly used. Tibetan Buddhists believe by chanting this you will invoke the spirit of compassion. Additionally you can create your own mantra, that means something to you specifically, in your native language. Think about what you would like to achieve or change and make a positive affirmation about it, e.g if you are unwell place it in the positive ~I am fit and healthy, I am relaxed and stress free, I am safe and loved. It can be anything, as long as it means something to YOU. Think of yourself as a work in progress! You can also use Angel cards or other oracle cards to help choose a mantra. Think carefully and research it well options are endless. So now you know how simple it is, and how little time you need to make a big difference, what are you waiting for, accept the meditation challenge, only 30 days to make a real difference, let me know how you get on, Here’s to a happy and stress free 2017. A mantra is usually a phrase rather than just one word, although not exclusively , Ganesh is the name of a deity. If you look on the net you may find a sanskrit mantra linked to Ganesh. You need to find a phrase or sound or word that carries real meaning for you, you don’t necessarily have to invoke a spirit or energy.